Students are always curious in knowing details about high paying jobs. Not just India, students across the world are interested in such careers which offer high salary and additional benefits. A high paying job not only gives one with a sense of monetary security, it will also help one have a wonderful lifestyle and enjoy good social status. We’ve created a list of course which can be pursued in order to get a good salary. It is good if you get good marks in B.COM, but what if you don’t? What do you do? There are plenty of career options and courses available after B.COM even if you have scored less in the exam. Many students go to pursue M.COM after B.COM. Master degree in Commerce is a very good option for career. Some of M.COM students also can’t understand what will be the next. After M.COM, graduates can pursue some courses that will surely help them to kick-start their career. Professional courses have also been mentioned along with their respective careers, so that students may make use of those details, and pursue them. Successfully completing a certificate course from a renowned university is one of the simplest way to get a promotion, increase your salary, or switch your job. Varying in duration from a few months to years, with classes in the weekdays, weekends and online, these courses will provide candidates with the advanced skills that is required to succeed in today’s workplace. Cost Accountants are liable for budgeting, cost management, performance evaluation and asset management within a company or organization. They typically combine as part of an executive team to create a financial plan for the organization. As a CA, you may work with corporate executives or heads of companies to strategically plan for a company. Along with that, you will prepare financial reports for tax authorities, creditors, stockholders and regulatory agencies. The main motive of Chartered Accountants is to gather, organize, analyze and present data on financial records of a specific company or corporation. Their job details may extend from auditing, financial reporting, creating and maintaining accounting systems, forensic accounting to even corporate finance. Many CAs choose to specialize in taxation. Business Accounting and Taxation is designed by Top class Chartered Accountants, with a specific focus on helping you to become a Professional Accountant. The course is designed to give hands-on-expertise in the area of Accounts, Taxation, MIS, Compliance and Reporting. The program is integrated with high end accounting software and applications i.e. SAP, Tally, QuickBooks and Advance Excel. The extensive training, practical case studies, live projects and hands-on experience on these software’s is important for any account professional to know, grow and prosper in their career. Financial Managers have the liability of overseeing the finances of major companies, agencies and everything in between. They coordinate with accounting and produce financial reports, cash-flow statements and profit projections with their teammates. To follow with various laws and regulations, they must pay attention to detail. Apart from working with numbers, financial managers must also help other members of their organization understand their complex reports, which requires momentous communication skills. Business managers are accountable for overseeing and inspecting a company’s activities and employees. Small businesses confide on the business manager to keep workers aligned with the goals of the company. Business manager reports to top executives in a large organizations, but in a small company, they might either own the company or report directly to the owner. Marketing Manager is answerable for managing marketing, advertising and promotional staff and activities of a company or organization. As a Marketing Manager, you take decisions to measure, enhance and enrich the position and impression of a company through various goals and objectives. Human resources (HR) development managers assess policies relating to personnel management and describe the effects of these policies on roles and operations within the company. Metrics may be used to make objective evaluations and changes to rules may be performed if deemed necessary. These changes may engage coordination with other parties, such as upper management and HR employees. Retail management takes up the task of managing supermarkets and hypermarkets in fixed business terms. Right from factory outlets to supermarkets, some brand or the other would grant you discounts to beat and win the competition. Retail management is a subject that prescribes you to be fully aware of brands, marketing strategies, and retail philosophies behind winning the customer. MCA is a three-year Professional Master Degree program in Computer Science. The objective behind MCA is to prepare students with the latest technologies, tools and applications in IT and to meet the modern requirement of IT professionals. MCA students need to study Financial Management, Accounting, Mathematics, Programming Languages like C, Java, ASP .Net, Web Development, Database Management System, and so on. The HDBFS program prepares a person with the necessary knowledge, skills and attitude, thus making the person most successful professional by the Banking and Finance sector organizations. This program helps graduates to have a sound career start in the BFSI sector. 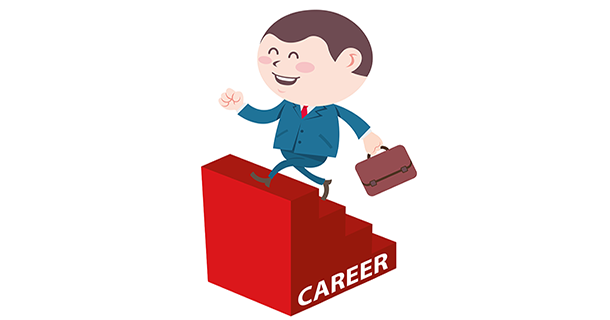 It is a four step program which enables the student to broad base his or her career options. A Master of Business Administration in Finance educates graduates for careers in mid-level and senior management, with above-average salary potential. Finance is the way to set up an industry in a proper way in according to the money management of the building, run, money resources and its proper collection. In this course, the students gets the knowledge and skills of maintaining balance between risk & profitability, concept of managerial decision, analytical thinking, coordination process and centralized nature. Master of Commerce offers a lots of specializations that will enhance your knowledge and progress your career in all areas of business. Master of Commerce prepares them to switch industries and move into other areas for career growth and expansion. The company secretary is reliable for the efficient administration of a company, particularly with regard to assuring compliance with statutory and regulatory requirements and for confirming that decisions of the board of directors are implemented. There are many choices in terms of courses and any choice will take care of the salary aspect. Experts in this field believe that if candidates choose an area where their strengths match, they will achieve success. In today’s competitive world, if you are not satisfied with the career or course you pursued there are many short term – high value – low investment courses available in the market. Want to know more about Career Opportunities & Salary after B.Com? Previous How Does Whatsapp Generate Revenue?